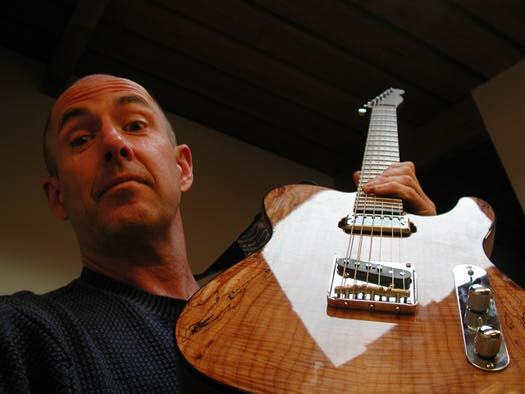 Grammy winner Henry Kaiser is widely recognized as one of the most creative and innovative guitarists, improvisers, and producers in the fields of rock, jazz, world, and contemporary experimental musics. The California-based musician is one of the most extensively recorded as well, having appeared on more than 250 different albums and contributed to countless television and film soundtracks. A restless collaborator who constantly seeks the most diverse and personally challenging contexts for his music, Mr. Kaiser not only produces and contributes to a staggering number of recorded projects, he performs frequently throughout the USA, Canada, Europe and Japan, with several regular groupings as well as solo guitar concerts and concerts of freely improvised music with a host of diverse instrumentalists. Scott R. Looney has always been interested in the creation and performance of compelling sounds across a broad spectrum of contemporary, improvised, and experimental music. He has studied composition and improvisation with Roscoe Mitchell, Wadada Leo Smith, Morton Subotnick, David Rosenboom, and Frederic Rzewski, obtaining his MFA in Composition from California Institute of the Arts.